When we started unnamed, we all shared a goal of showing off what awesome talent lay dormant in Southeast Asia. And today, we began one of many steps to showcasing what our regional artists can really do. This weekend we’ll launch #komikkomik – a hashtag featuring Southeast Asian comics creators. If you’re one, join the tag and we’ll RT you! The word ‘komik’ of course, being shared across several languages in the region to simply mean ‘comic’, and the work is just as diverse as its people. From Malaysia to the Philippines to Vietnam, taking a quick glance at the hashtag on Twitter is proving to be a feast for the eyes! And it’s growing, with the hashtag quickly catching traction with professionals and amateurs alike. #komikkomik is a new hashtag for cartoonists from South East Asia! I’m Hien! from Vietnam originally but currently found a home in Australia. Hello #komikkomik I am VieN, from Malaysia. I'm a webcomic artist who draw social commentaries comic strips. 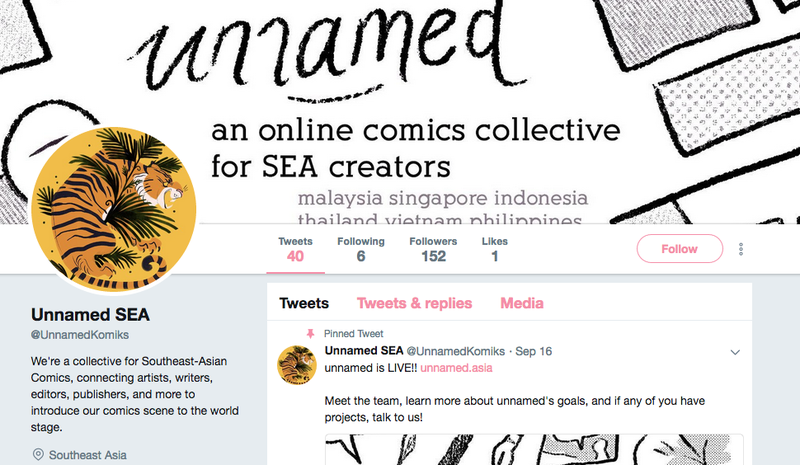 Spread the love: If you’re an artist from Southeast Asia, just fire up Twitter, tell us a little bit about yourself (Your name, where you’re from), some samples of your artwork, or places where we can find more of your wonderful work. Not from Southeast Asia but want to help spread the word? Retweets are most welcomed, as is following the artists that you’ve now recently discovered! Press writeup by Amanda Nelson.